Aliotta Haynes Jeremiah’s “Lake Shore Drive” is, to my mind, the second greatest “Chicago song” of all time (after only Robert Johnson’s immortal “Sweet Home Chicago”). The question I have been asked most frequently about my first feature, COOL APOCALYPSE, is “How did you manage to get the rights to use that song?” Here, for the first time, is that story in full. A few years ago, when I was writing COOL APOCALYPSE, I did something no independent filmmaker should ever do: I wrote a well-known pop song into my script – in such a way that the entire movie would seemingly collapse without it – without first bothering to clear the rights. Hell, I didn’t know who had written or recorded the song, much less who owned the rights, when I was writing my little no-budget film. I had never even heard the song as a kid growing up in Charlotte, North Carolina, but as soon as I moved to Chicago in 1993, I realized it was a local FM radio staple and immediately fell in love with its infectious melody and rollicking piano. When I bought my first used car a few years later, there were times when I would be driving down Lake Shore and it would come on the radio, which was always a magical experience. I would go nuts in that Volkswagen Rabbit, singing along and banging on the steering wheel. So I wrote a scene into the script where this exact thing happens to the characters played by Chelsea David and Adam Overberg. I intended the scene to be a love letter to both the song and the road that it paid tribute to. When I discovered that Skip Haynes had written the song, I tasked my great producer, Clare McKeown, with trying to track him down. She reported back that she couldn’t find him. I did some internet sleuthing of my own and eventually found that he was the only surviving member of the band Aliotta Haynes Jeremiah and that he was currently living in Laurel Canyon, California, where he ran a dog rescue. He was still writing and recording music – only his new songs were all about dogs. I also found out that, much to my good fortune, Skip had not only written the song but owned the performance rights as well. I sent him an e-mail explaining that I was an independent filmmaker making a no-budget movie and that I had no money but was desperate to use his song. He responded right away by sending me his phone number and asking me to give him a call. When I called him up, he immediately and very generously offered to give me the rights to the song for a meager $40 then proceeded to reminisce about the good old days for another 30 minutes. Skip was hilarious. He told me a story about how his manager had called him when he and his band were on tour in the early ’70s and told him that they had to start playing “Lake Shore Drive” at their shows. The band hadn’t realized that the song was getting radio airplay; so much time had elapsed between when they had recorded it and when it became a hit that they actually had to go to a record store while they were on the road and buy their own album in order to re-learn the song. He also told me that the band used to dose their Quaaludes with LSD and wash them down with a mixture of NyQuil and tequila. He called that a “Green Russian.” It was a very memorable phone conversation. Last year I found out that “Lake Shore Drive” was prominently featured in GUARDIANS OF THE GALAXY 2, something that pissed me off to no end. 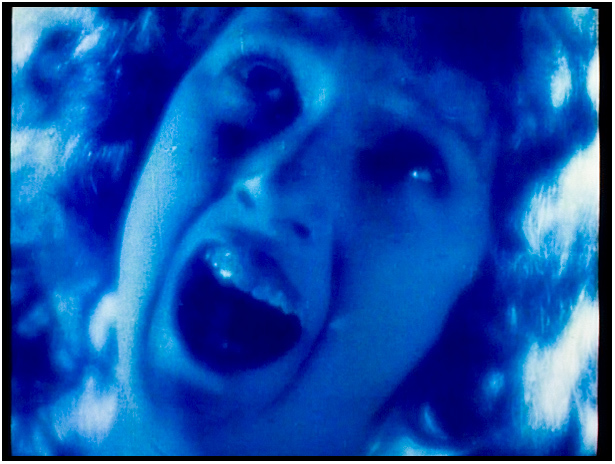 The film was a Hollywood tentpole with no connection to Chicago and it was going to make the song more famous than ever, which would also change how people perceived my own movie; I realized that some people were already watching COOL APOCALYPSE for the first time and saying, “Hey, it’s the GUARDIANS OF THE GALAXY song!” during the “Lake Shore Drive” scene. Nonetheless, when I heard that Skip Haynes passed away yesterday at the age of 71, I felt glad that he had found this unexpected Hollywood success late in life. I hope that he earned five figures from selling the rights to Marvel and that he was able to put that money to good use at the dog rescue and enjoy his last couple years on earth as much as possible. Rest in peace, Skip. Thanks to Bluetooth technology, I can now play your song every time I drive down Lake Shore Drive in your honor. I am pleased to announce that, following the success of my shorts At Last, Okemah! and The Catastrophe on the U.S. film festival circuit, I am planning on shooting a feature-length film this summer. 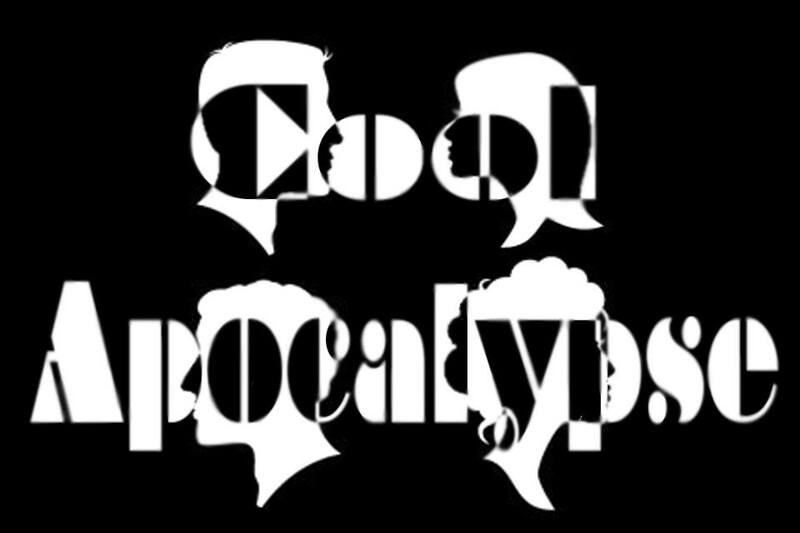 It is entitled Cool Apocalypse and it is a romantic character-based drama. It will unquestionably be the biggest and best thing I’ve ever done. I’m therefore in need of your help! We are presently deep into pre-production and very excited about the movie we are about to make. Auditions are done and we will be announcing our phenomenal cast of actors soon. We will shoot Cool Apocalypse in black-and-white digital on the Panasonic GH3 (the successor to the camera on which Shane Carruth shot Upstream Color). You can learn all about it on our website. If you could please take a look at the site and think about making a donation we would GREATLY appreciate it. This film’s budget will be raised entirely through “crowd sourced funding” and virtually none of the cast and crew, including me, will be getting paid. Nearly all of the budget will go towards making the film look and sound as good as possible. As most of you probably know, independent filmmaking is very difficult, so every little bit helps. Donations of $25 and up are eligible to receive a host of exciting perks including tickets to Zanies comedy club in Chicago, HD downloads of the film, mp3s of the original soundtrack and even a speaking cameo in the film! Donations can be sent directly through the site but you can also contact me via e-mail if you would like to send a check. My 39th birthday is coming up on June 14th; if you were thinking about getting me a birthday present, please make it be a donation to this movie. Or, if you’ve enjoyed reading this blog, which I’ve written for four years as a labor of love for no pay, please consider making a donation to the film as a way of showing your appreciation. Independent filmmaking in Chicago is a VERY worthy cause. Even if you can’t make a donation at this time, please check out the website anyway and learn how you can help us merely by “liking” us on facebook and/or following the making of the movie on Twitter.